A cover letter is the final part of your job application riddle. 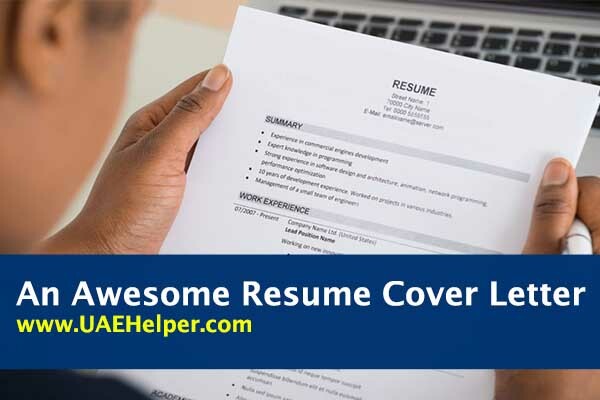 Recruiter normally pays very minimum time to an application; hence it is very important that you as a candidate should draft a cover letter and a resume that catches employer’s attention. A well-designed cover letter is the one that is the answer to why you are the right person for this job. It basically communicates why your skills and experience are relevant to this job. Here are 14 important elements of a resume cover letter. Get a name, search online or get in touch directly with the company to find the name. Using your network is also a good way to find the name of the recruiter. You should advise the phrases like To Whom It May Concern. The start of your cover letter ought to catch the eye of the recruiter quickly. Tell the reader that you are keen on work with reference to the job posted by the company. Educational paragraph tells the manager about your education and your responsibilities in a significance as the resume is a detailed version of this. Cover letters are formal business letters. They ought to be designed with the address in the upper right or left corner and the organization’s address on the left. Rather than thinking about your resume cover letter as a prologue to you and your resume, consider it a pitch to sell something. Focus on the advantages that you will bring to the table. Research the organization and use this data into your cover letter. This demonstrates the business you are interested in working for them. In a sales letter, you’d request that the individual purchase an item, give some money, or sign up for a newsletter. In a resume cover letter, you’re requesting the recruiter to reach you for a meeting. Write in a tone that coordinates the culture of the company. You should always use proper grammar and good spelling. Don’t only list your skills. Rather, depict how they apply to this specific job. You are trying to convince the recruiter that you are right for this job. Recruiters are normally in a rush. They may not read every line of your cover letter, so you’ll need to add the information other than your name and education details, basically the information that is relevant. Recruiters will waste a cover letter if it is not unique. Investing some extra effort to write an interesting resume cover letter can have a significant effect on the success of your application. Often, hiring managers normally scan cover letters quickly rather than reading them thoroughly. To overcome this, it’s smart to write your letter with some relevant keywords that fit into the narrative naturally. Hiring managers prefer a cover letter of not more than a page. Your goal is to grab the attention of the recruiters and mention your experience. Close the cover letter by outlining what you bring to the table and ask for an action. End formally with a statement that sounds like you are willing to have an interview with them. It will sound positive as well as very interested. Keep in mind, the resume cover letter is the primary thing a recruiter read. It is an introduction to your application. If you could not catch the attention of the recruiter, you likely won’t probably look it up some other time.